Nose: Fruity from the get-go, with an apple cider like aroma popping up from the glass, accompanied by white grapes. There’s also a fair amount of vanilla sweetness, as well as some cotton candy, cookie dough and icing. Finally a very light mineral touch with a whiff of burlap. Water brings out more of an orange-y aroma. Taste: Nice thick mouthfeel. A spicy (white pepper, nutmeg) and nutty (roasted peanuts) arrival. A whisper a ginger too. A tad aggressive at first, probably in part due to the high alcohol percentage. Adding water and waiting a little while remedies that, making way for soft citrus fruits and some hops, bringing a bit more balance to it all. Finish: Returning to the fruity and sweet signature I already experienced on the nose, although a little less explicit here. Ophavsland: Skotland Område: Isle of Islay Producent: ikke angivet. Produkt: Single Malt Whisky. 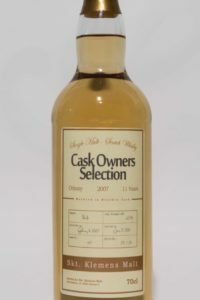 (Det er desværre en trykfejl på etiketten hvor der står: Single Cask.) Alder: 8 år Fad: Bourbon, eg Styrke: 50% Aftapper: FioniaFlasken Beskrivelse: Her får du en skøn Islay dram der er røget til perfektion. Den har en fin og ren form for røg der skærer lige igennem, med duft af bål på stranden, grantræ, tjære, tovværk og hestestald. 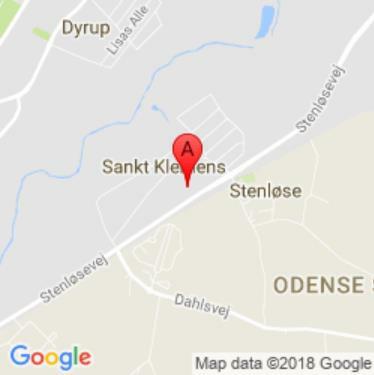 Det er desuden en hemmelig aftapning - kan du gætte hvilket destilleri?